Sometimes schools ask us for brightly coloured wire guards. While this undoubtedly make for a cheerful environment, it can also have a serious purpose too. Cypress Primary school had the bright idea to contact AIANO and order a number of wire guards for their radiators in luminous yellow. 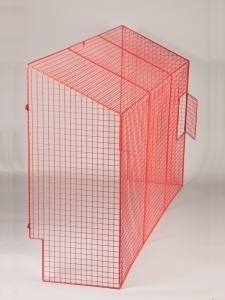 The school wanted brightly coloured wire guards that were highly visible to students who are visually impaired to help prevent them touching the hot surface of the heaters. 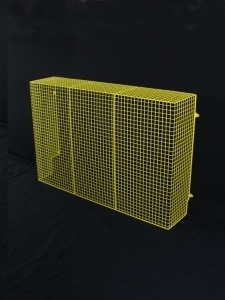 The school opted for a Canary Yellow finish on the wire guards, which is the most luminous colour in the spectrum in order to reduce the risk of an accident caused by the child colliding with the radiator. Read the full blog article. AIANO bespoke radiator guard powder coated in red. Aiano radiator guard powder coated in canary yellow for Cypress primary school. AIANO can finish all of their wire guards in all colours from the rainbow, to sky blue, rose pink and even bright orange, we will try to accommodate all of our customer needs. If you would like to brighten up your school or nursery with AIANO custom powder coated wire guards, contact us on 0207 987 1184 or email sales@aianos.co.uk. Be hassle free with AIANO’s full service solution! At AIANOS, we understand that safe guarding in your school can be somewhat stressful. Not only do you need to measure every heater, radiator or window correctly, dealing with obstructions such as piping, shelving and windowsills can also be tricky. And to top it off, you also need to find someone to install the guards properly…….. AIANO’s can do all of the above! AIANO’s full service includes a site survey, guard manufacturing and guard installation! Sign up to our newsletter to keep updated with Aiano news, new products & promotions. Request a copy of the latest AIANO catalogue.